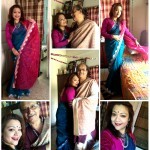 100sareepact | ‘Poised Pose’- Yesterday Once More! ‘Poised Pose’- Yesterday Once More! With the arrival of December there is unrest within me; thinking how quickly I can come up with some interesting yet prompt saree stories to reach my #100sareepact destination. The instant thought was ‘Looking Back ‘few moments within me. Since I was born, I guess, I was ready to face a camera, since the creative pair of eyes behind those B/W photographs were of my father, Appa. He was a passionate photographer, and he continues to prove it even today. I searched albums and accidentally found few rare and amazing clicks; may be one of those first drapes of my life. The room, the window panes, my jovial face, all rushed and re-winded several nostalgic feeling of my yesterday years. I immediately connected my status with one of my evergreen choices of western songs- Yesterday Once More by Carpenters. 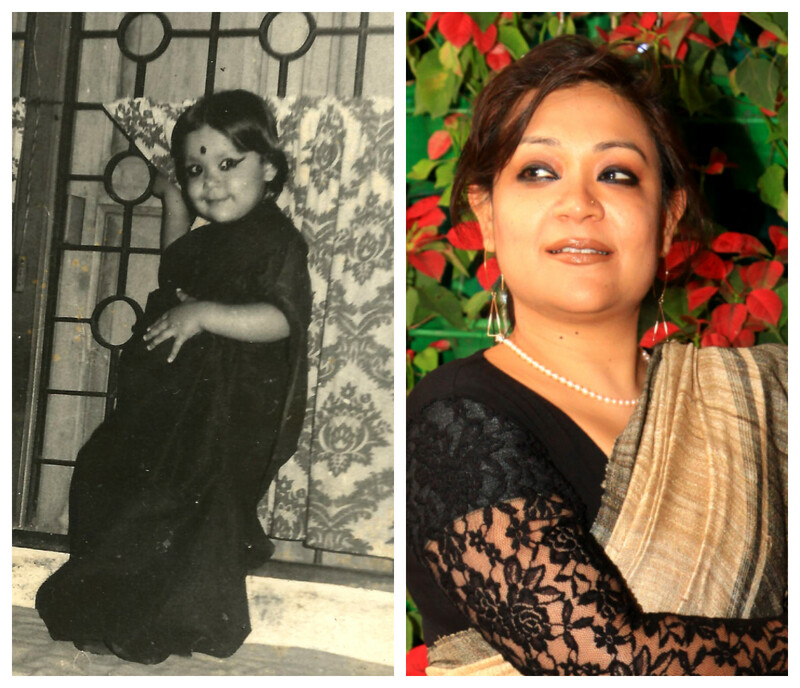 With lots of emotions, sentiments I present my 70/100 #100sareepact story to me by me….. The image can be captioned with ‘The Poised Pose’! 70/100 Gicha/Tussar mixed ghee-coloured saree, with black border is one of my all-time favourite B/W saree series and an often choice for my office- wear. The twist was wearing the saree with netted top when remarks I received from office pals- ‘always ready to pose in front of camera’! I smiled, and from inside gave the credit to my father, whose crazy experiments of photography have been a part of my growing childhood. A very casual make-up, a light dangler coupled with a light pearl neck-piece pitched the overall look perfectly. Garden Vareli.. A lost love !